Care and maintenance are essential to preserve the beauty of your flooring over the years. Parquets Alexandra has the tools and techniques to make your life easier. Whether it is for regular maintenance or for a complete restoration, keep it simple by consulting our detailed documents. Designed to make your life easier, these documents will assist you in every stage of your project. 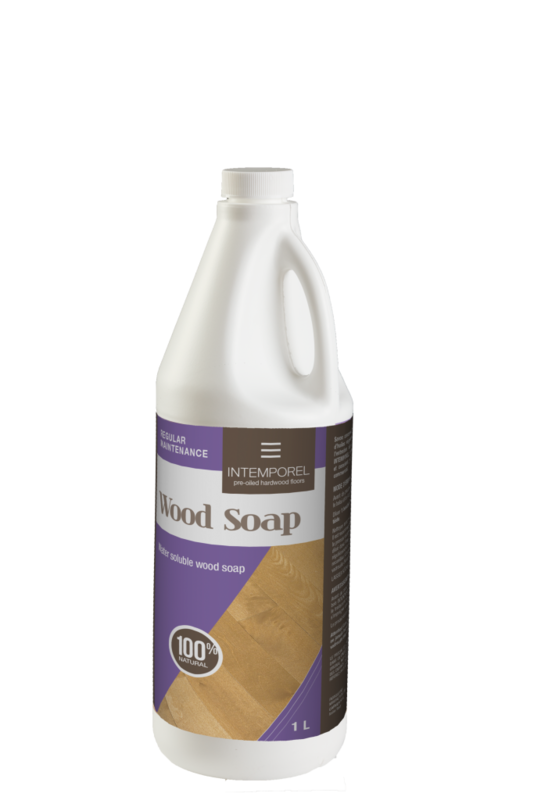 Concentrated soap derived from vegetable oil sources specially designed for Intemporel pre-oiled wood floors. It dilutes in water and is suitable for both residential and commercial use. Dilute 1 capful (10 ml) of the product per litre of lukewarm water. Concentrate made from soap and vegetable wax that is over 90% biodegradable. 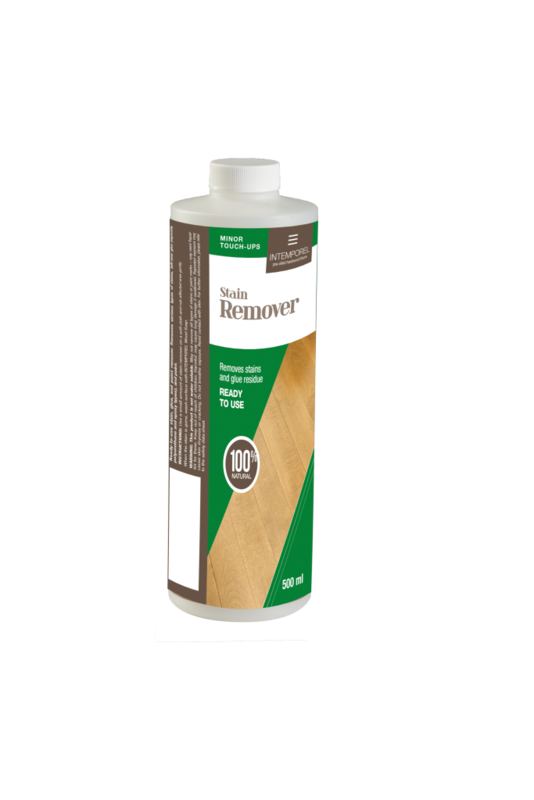 This revitalizer is specially designed for the cleaning and maintenance of Intemporel pre-oiled wood floors. Dilute 1 capful (10 ml) of product per litre in lukewarm water. 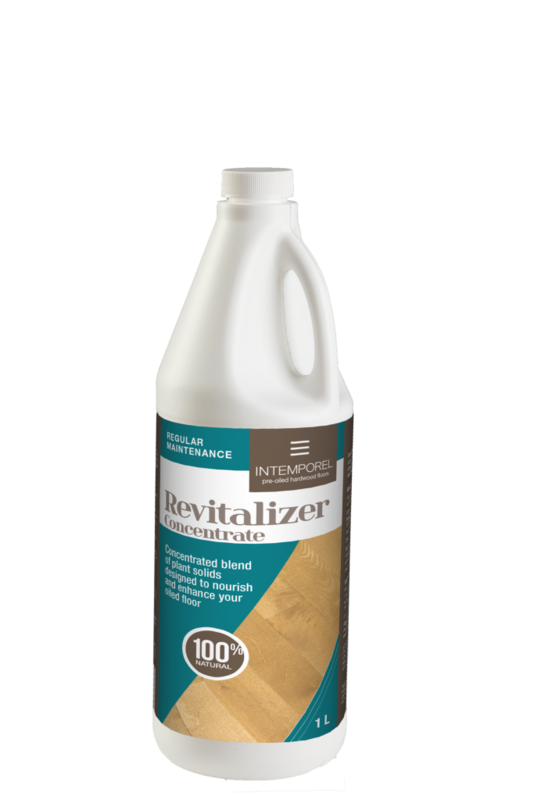 Use revitalizer one time out of four as a replacement for Intemporel wood soap (overuse may cause a film to build upon your floor). A ready-to-use product made from soap and vegetable wax that is over 90% biodegradable. 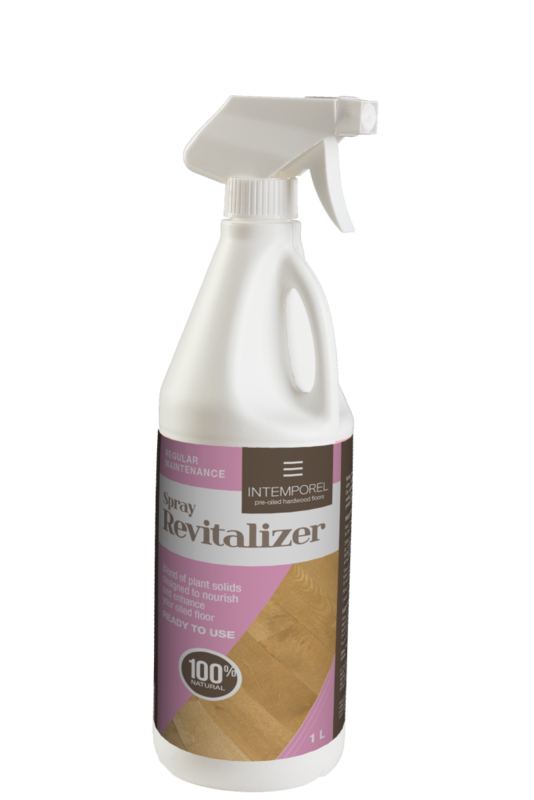 Revitalizer is specially designed for the cleaning and maintenance of Intemporel pre-oiled wood floors. Use revitalizer one time out of four as a replacement for Intemporel wood soap (overuse may cause a film to build upon your floor). Regenerating oil is a ready-to-use product. Made from natural oils and resins, it is specially formulated for the restoration of Intemporel floors. This product is suitable for both residential and commercial use. 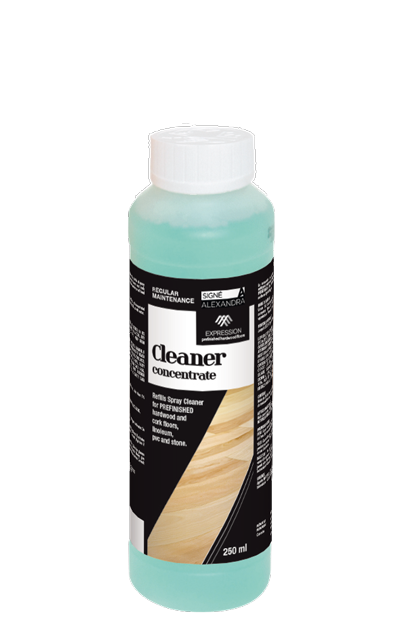 It deeply protects wood fibers and will revive the color of your floor, while restoring any wear-damaged oil layers. Applying regenerating oil will extend the life of the original impregnating oil treatment. Natural resin- and wax-based vegetable oil for deep sealing of wood pores. Use only on unfinished wood as part of a two-step process. 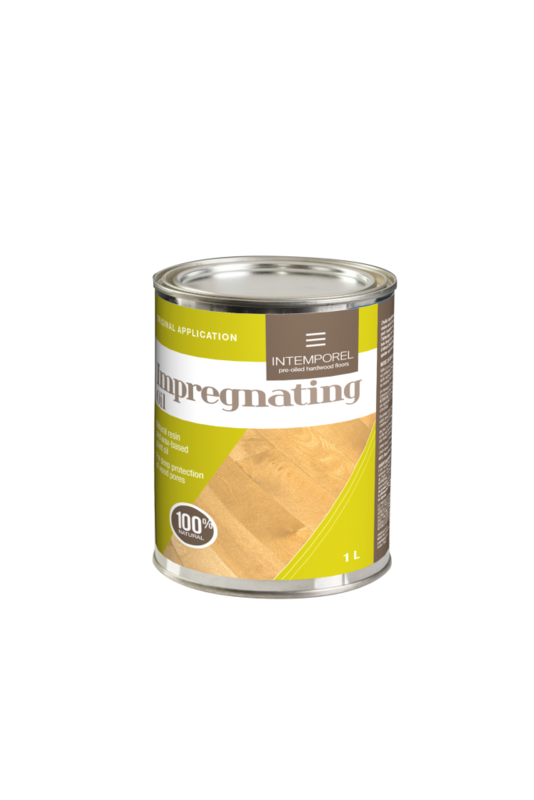 First, treat wood with the impregnating oil to obtain the desired color. The floor must then be treated with finishing oil 24 hours later (available in different colors). 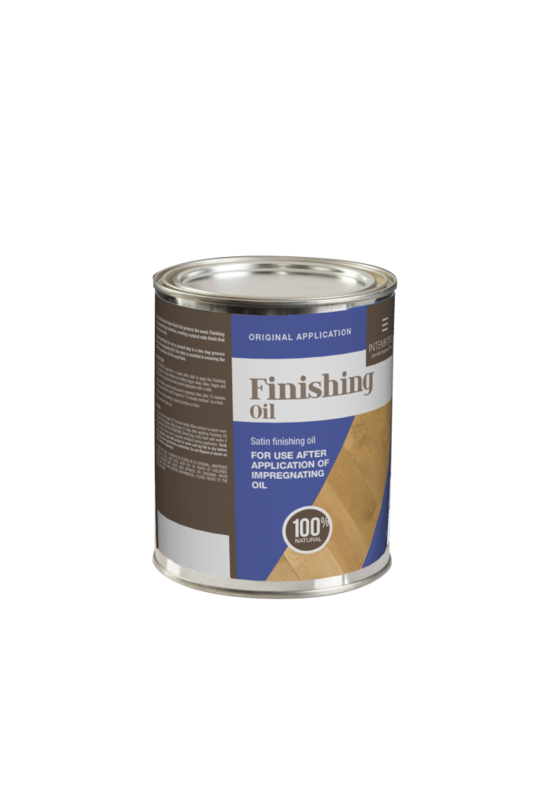 Resin- and natural oil-based finish designed to protect wood. Finishing oil is transparent and colorless, creating a natural satin finish that resists wear and dirt. Designed specifically for use as the second step in a two-step process. Step one is applying impregnating oil, then finishing oil must be applied. This step is essential in ensuring the ultimate protection of your wood floor. Ready-to-use stain remover. 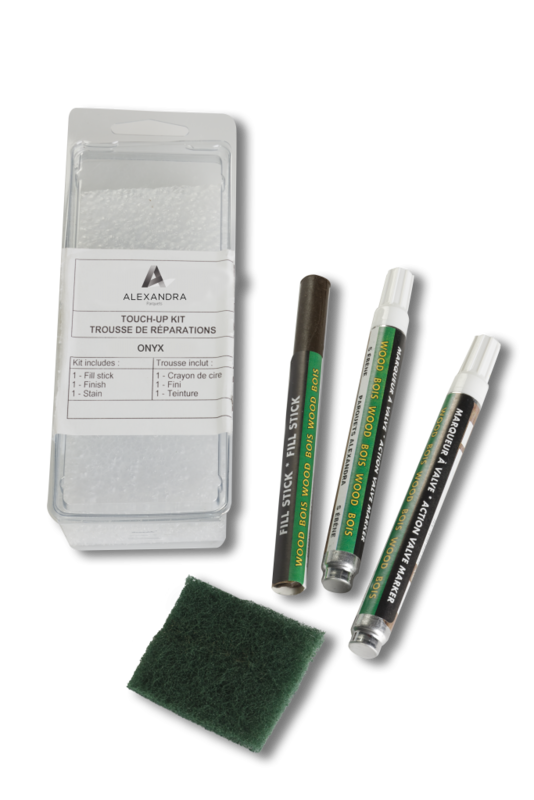 Removes various types of stains, like left-over glue (especially polyurethane and epoxy) or paint from the floor. The concentrated cleaner refills the bottle of cleaning spray four times; there is no need to acquire the 946 ml bottle. This makes you save as well as contribute to the environment. This ready-to-use product was designed to make your life easier. Easy to use, it is also environmentally friendly. It allows you to clean prefinished wood floors in one easy step, without having to rinse them first. It goes without saying that the purchase of a hardwood floor represents an investment—here is the product to protect it! Contains an impregnating oil marker, a finishing oil marker, and a wax crayon. Designed to repair minor nicks and scratches.